First Chapter ~ First Paragraph Tuesday Intros, hosted by Diane at Bibliophile by the Sea, is where bloggers post the first paragraph(s) of a book they are currently reading or planning to read sometime soon. Today I'm featuring Alice Hoffman's newest novel, which I selected as my First Book of the Year 2017. In February, when the snow comes down hard, little globes of light are left along Route 110, on the side of the road that slopes off when a driver least expects it. The lights are candles set inside paper bags, surrounded by sand, and they burn past midnight. They shouldn't last for that amount of time, but that's part of the miracle. On the second anniversary of the accident, a gang of boys creep out their windows and gather at two in the morning to see if Helene's mother, Diana Boyd, drives along the road replacing each melting pool of wax with a fresh candle. They're hoping to reveal a con in process and dispel the myth of a miracle, but after keeping watch for a while the boys all flee. In the early morning hours, safe in their beds, they wonder how much of the world can never be understood or explained. The first paragraph is a good example of Hoffman's exquisite writing style. With a mystical touch she connects a significant past event with the present, while observing the elements of nature (human and environmental) and the complexity of life. Those of you already familiar with this novel (and/or Hoffman's other work) know what I mean. 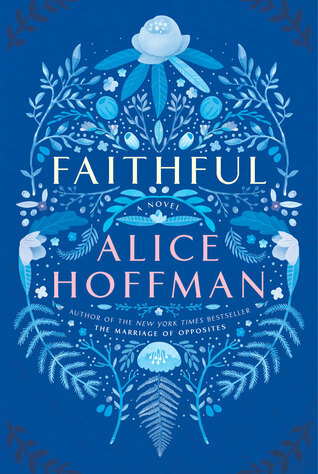 If you haven't yet sampled an Alice Hoffman novel, I hope 2017 will be the year that you do.